LUCKNOW: India's largest Islamic seminary, Darul Uloom of Deoband, has issued a fatwa or religious edict asking Muslims not to chant ‘Bharat Mata Ki Jai’ as Islam is against idol worship, sparking new controversies. 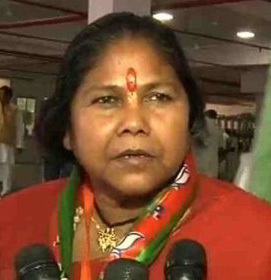 Union Minister of State for Food Processing Sadhvi Niranjan Jyoti said on Friday prohibiting people from chanting ‘Bharat Mata Ki Jai’ slogan amounted to insulting the freedom-fighters. “It is showing the fundamentalist side of Islam. Denying ‘Bharat Mata Ki Jai’ shows disrespect to martyrs of the country. It shows their mentality. They should understand that they are not living in Pakistan,” said Jyoti. 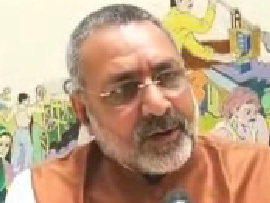 "I see an international conspiracy to break the country," Giriraj Singh, Union Minister, remarked in Mumbai. He said those who are questioning 'Vande Mataram' and 'Bharat Mata Ki Jai' "will tomorrow question our flag too." Singh said the problem is not with the slogan, but the conspiracy to "break" the country. The fatwa had stated that chanting the slogan was against “tauheed” or the “oneness of Allah.” It also said the Constitution provides the right to all citizens to practice their own faiths in their daily life. The fatwa was issued by a two-cleric bench — ‘Mufti-e-Karam’ — constituted by the seminary following queries from the Muslims on the issue. Recently, AIMIM leader Asaduddin Owaisi had started the controversy stating that he won't chant the slogan "even if a knife is put to my throat". This followed RSS chief Mohan Bhagwat's suggestion that the young generation be taught patriotic slogans like 'Bharat Mata ki Jai.' Although the RSS has since clarified that it is not imposing any ideology on anyone. "I don't chant that slogan. What are you going to do Bhagwat sahab?" Owaisi had said at a public rally in Latur. Several political parties had condemned Owaisi's stance. 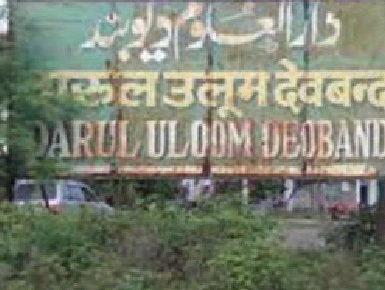 A few years ago, the Darul Uloom had issued a similar fatwa against the Vande Mataram song.